China, U.S. demand boosts VW global sales in Sept.
BERLIN (Bloomberg) -- Volkswagen AG said its global deliveries rose 7.9 percent in September because of growth in China and the United States. Deliveries at Volkswagen's seven car brands including luxury unit Audi and Czech division Skoda increased to 663,100 vehicles from 614,800 a year earlier, the automaker said in a statement. Nine-month sales gained 13 percent to a record 5.37 million cars, SUVs and light commercial vans. “We're very satisfied with developments,” and the company will sustain “sales momentum” with new models, Sales Chief Christian Klingler said in the statement. Volkswagen is targeting a second consecutive year of record deliveries as it adds about 70 models, including upgraded versions of existing vehicles. Klingler said on Sept. 30 that VW may achieve its goal of 10 million sales before the target date of 2018, the year the German manufacturer has pledged to overtake Toyota Motor Corp. in deliveries and profitability. “VW group maintains its solid footing in China and other growth markets thanks to its broad product portfolio,” Marc-Rene Tonn, an analyst at M.M. Warburg in Hamburg, said before the figures were released. “Brands such as Audi and Skoda have been performing very well,” said Tonn, who recommends buying VW stock. See PDF, (above right) for more detailed VW group sales numbers for Sept. and 9 months, including Audi, Skoda and Seat. The carmaker's expansion plans rely on success in China, where VW announced the addition of two factories this year to double production in its biggest market to 3 million cars within four years. 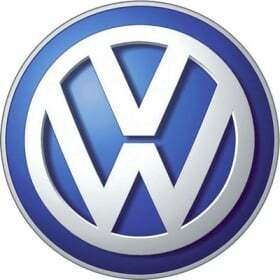 VW plans to invest 6 billion euros ($8.5 billion) in China for the construction and to develop new models. Nine-month sales in the country rose 39 percent to 1.48 million vehicles, beating the full-year record 1.4 million deliveries of 2009. Volkswagen's U.S. sales rose 21 percent, and deliveries in Europe gained 1.1 percent, the company said.